Jaden Smith brought a surprise guest on stage at Coachella - none other than family friend Jordyn Woods. The former Kardashian/Jenner bestie made a very brief appearance on stage during Jaden's set at the Palm Springs music festival. She briefly danced on stage next to a Tesla, wearing a white face mask which served to both protect her against the desert dust and hide her identity. 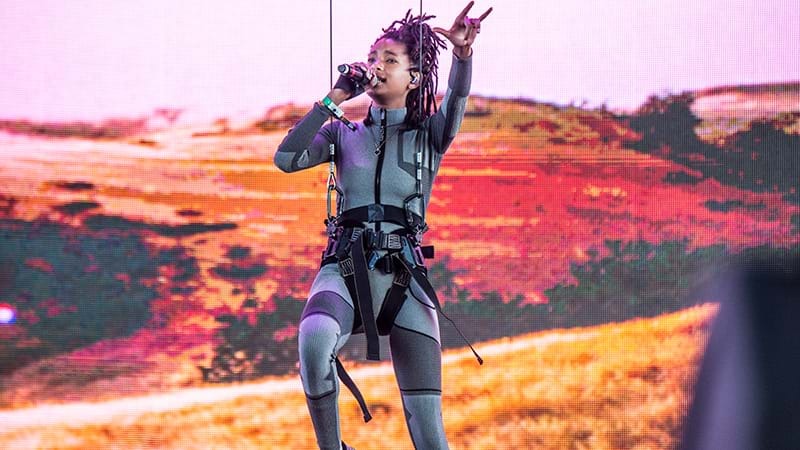 The set also featured Jaden flying through the air on the aforementioned Tesla, and his younger sister Willow performing an aerial stunt. Kendall Jenner and Hailey Bieber were spotted in the audience for Jaden's performance. Jordyn was of course best friends with Kendall's younger sister Kylie. We can't wait to see what other celebrity action Coachella throws at us!